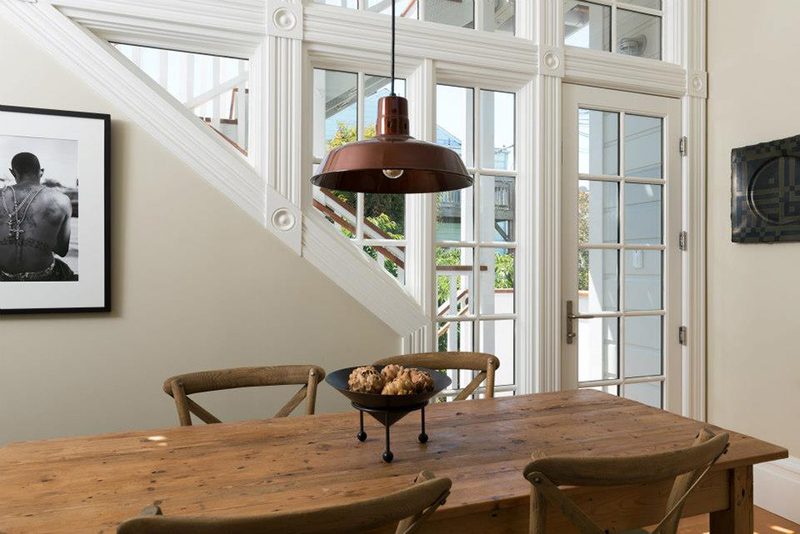 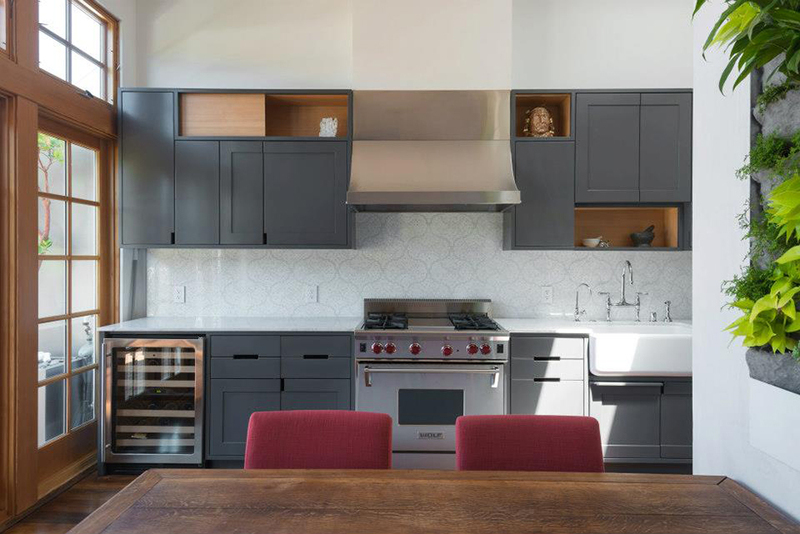 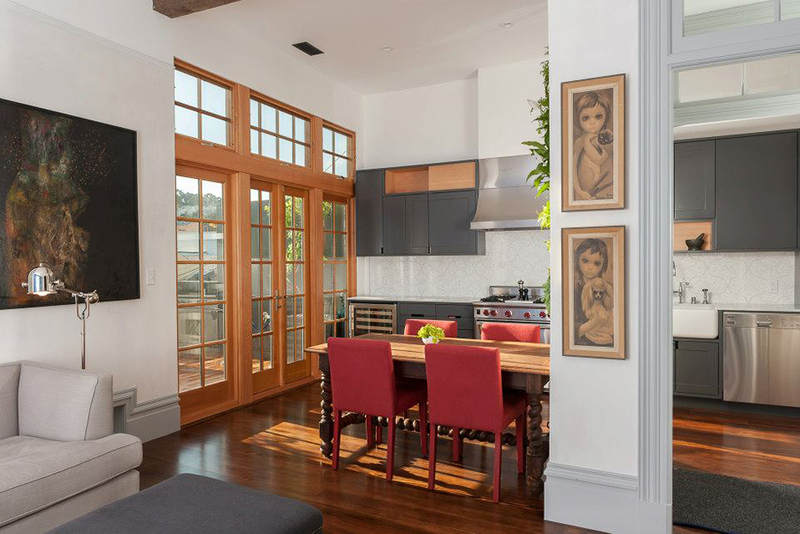 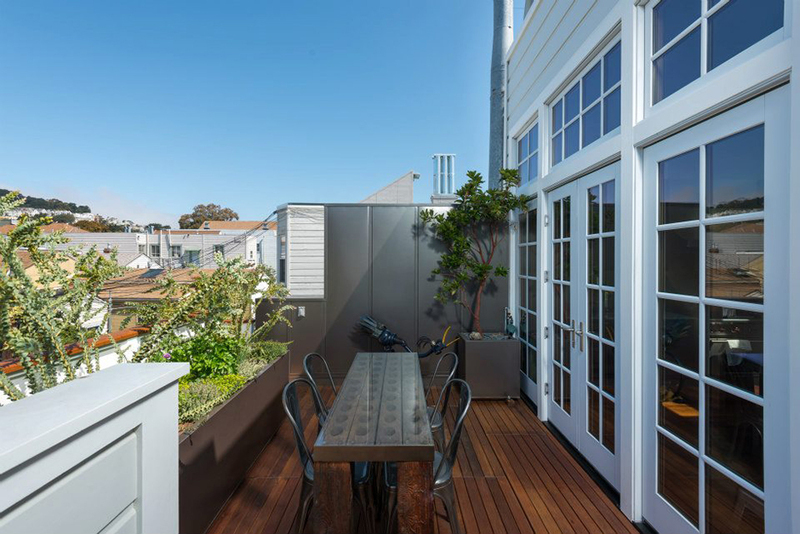 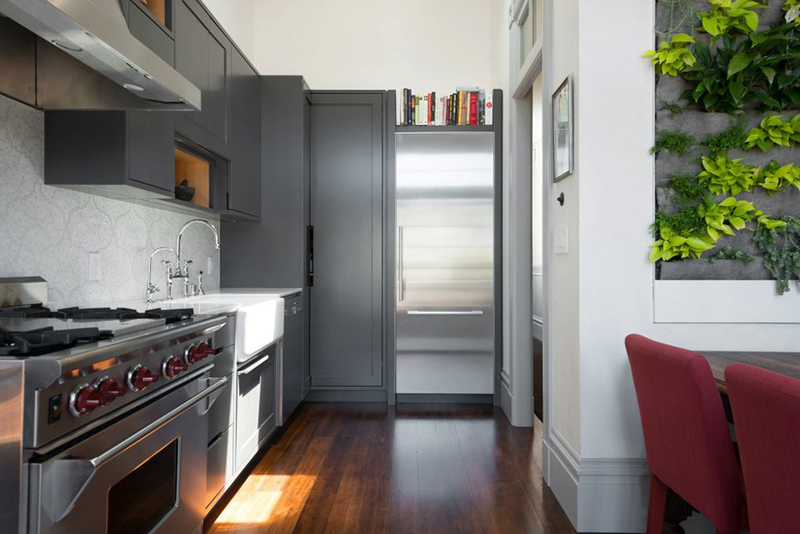 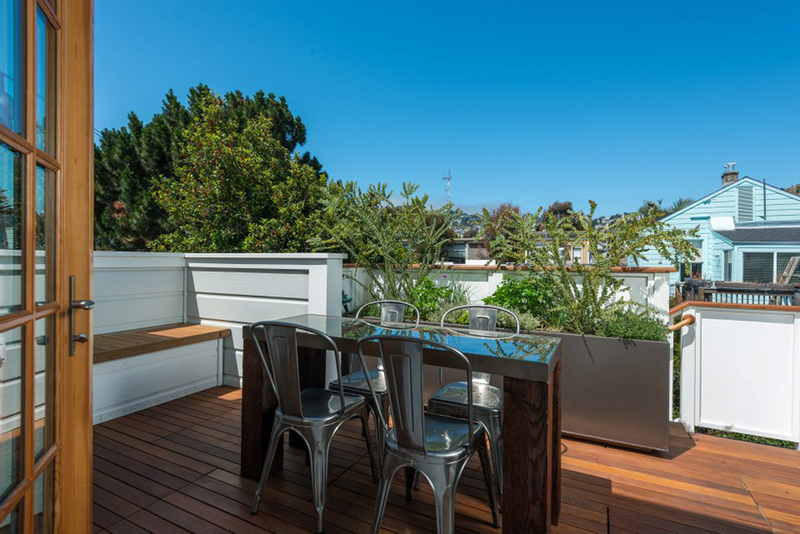 This modern design was created inside a Victorian styled home located in San Francisco, CA. 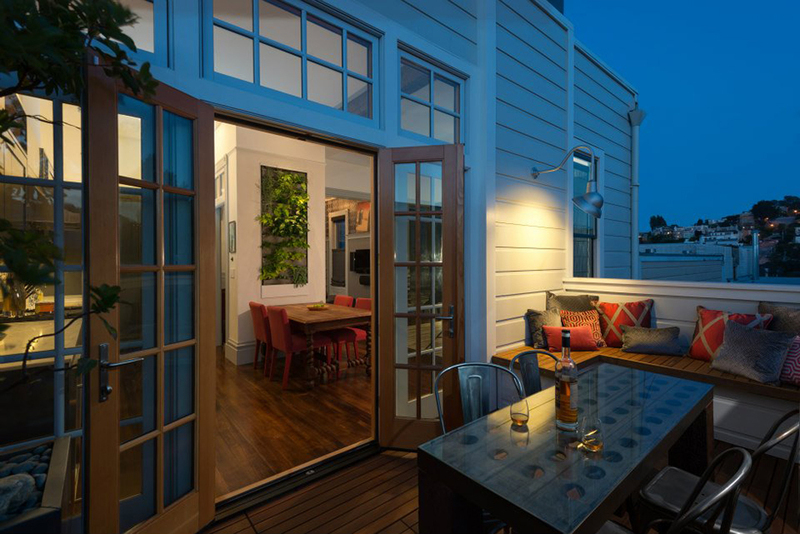 Aaron Gordon Construction Inc., the group responsible for the remodel, made this design unique in many ways. 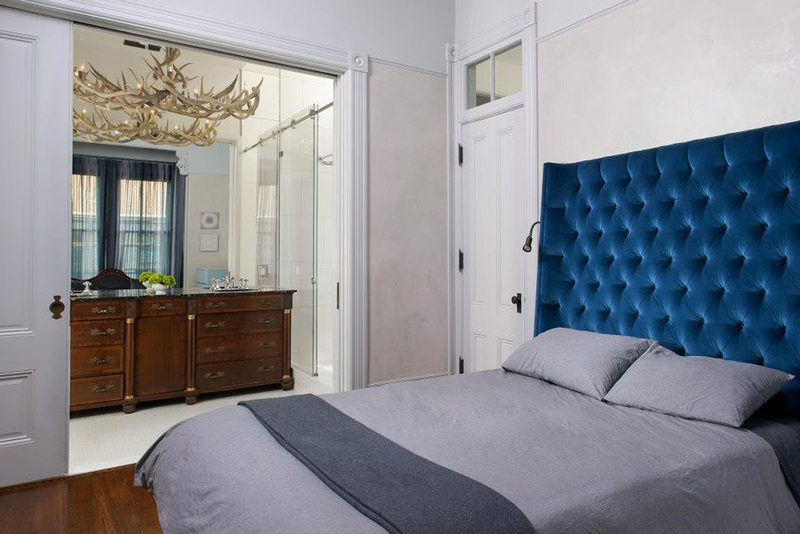 One aspect was that they took printed images that their clients had chosen and turned them into custom wallpaper. 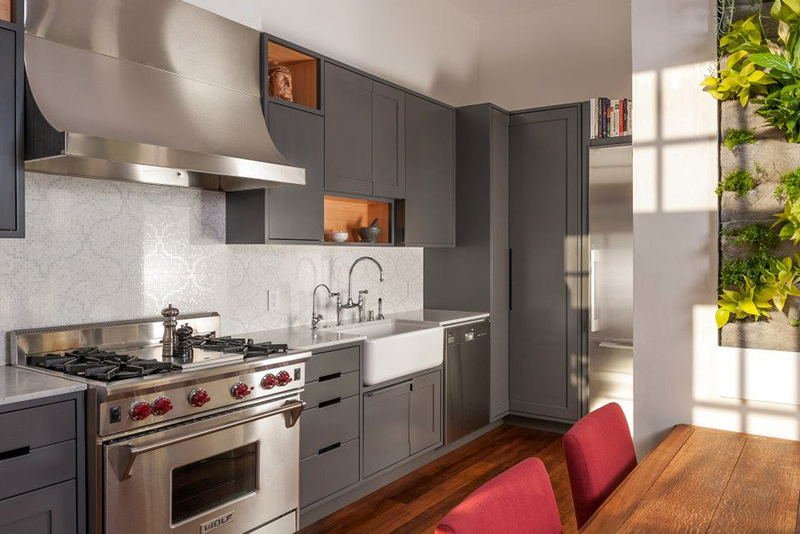 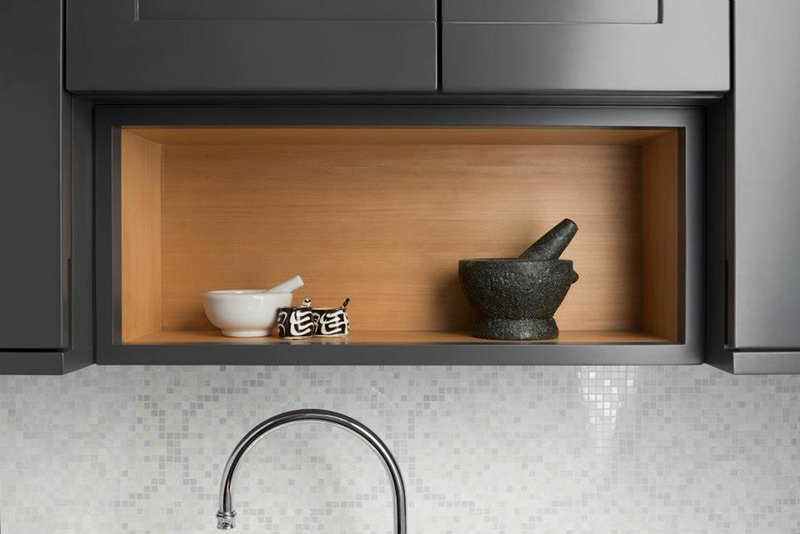 They also integrated Porcelanosa’s Deco Nacare Blanco tile as a modern yet elegant backsplash in the kitchen.